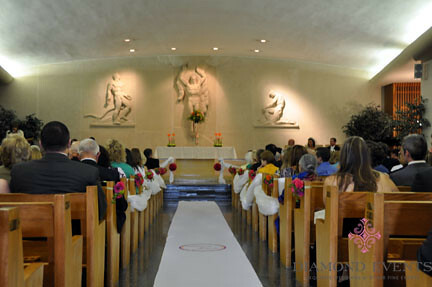 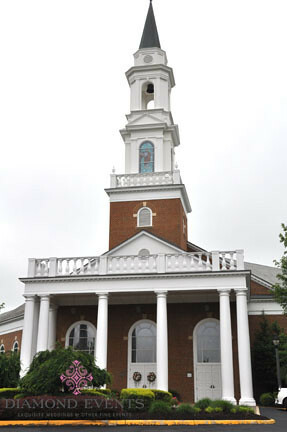 Brie and Gino were married on a rainy spring day in April. 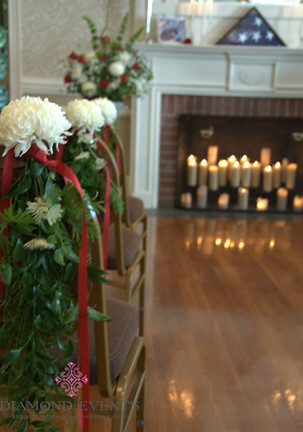 The morning of the wedding the wind and rain didn’t let up for a second, forcing us to move the ceremony inside. 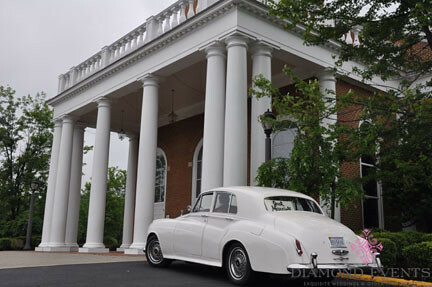 Miraculously, as soon as it was time for the ceremony, the clouds broke and the sun shone through giving the bride and groom time for pictures outside while the guests enjoyed cocktail hour. 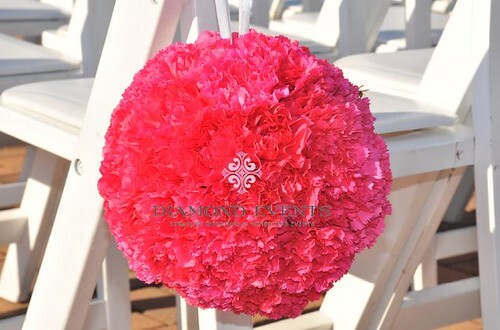 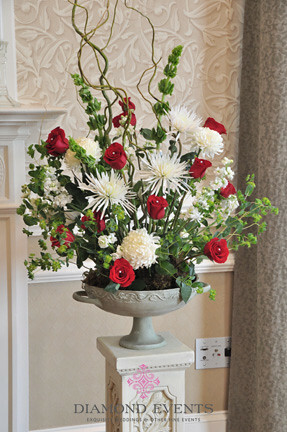 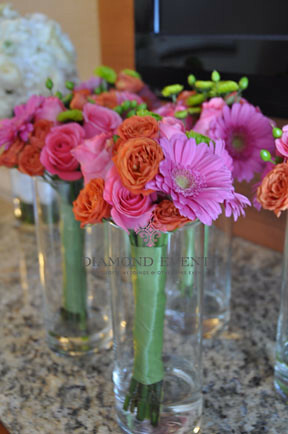 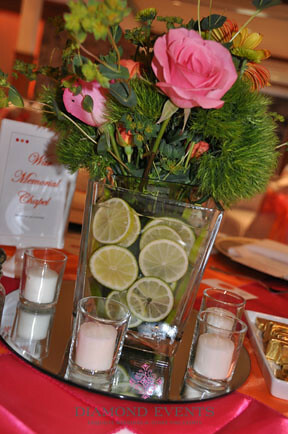 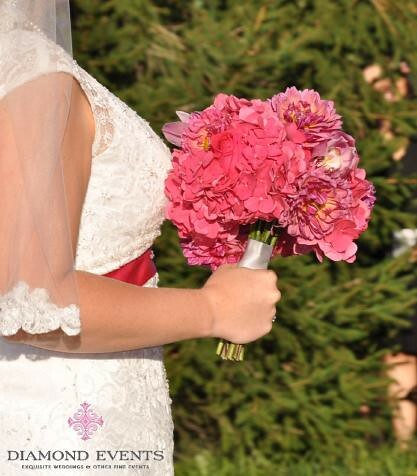 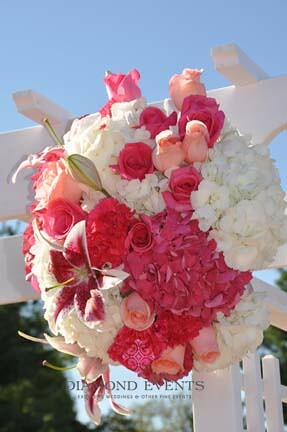 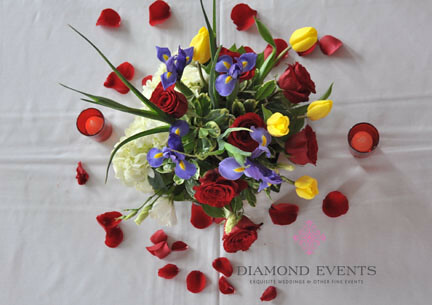 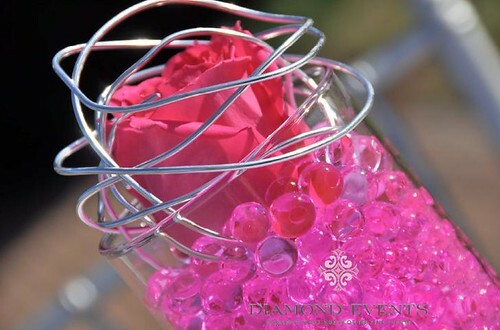 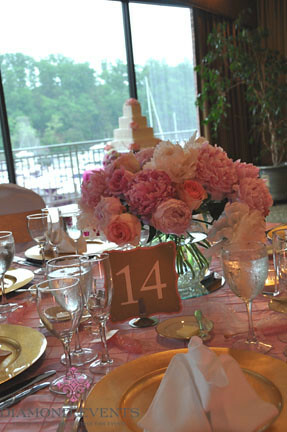 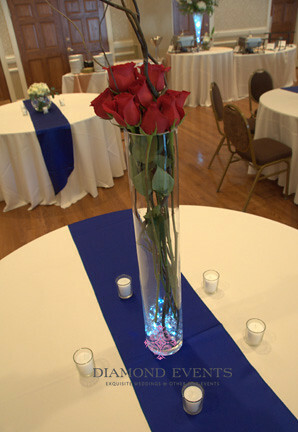 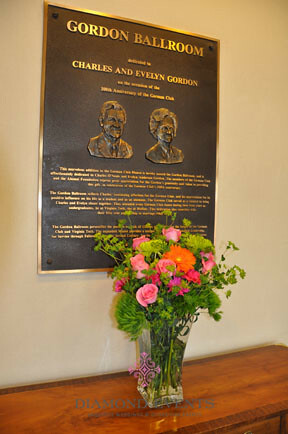 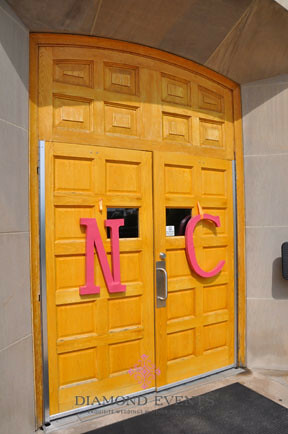 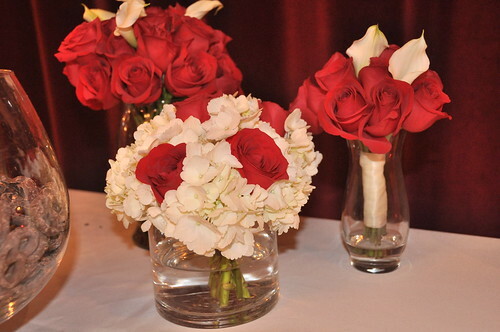 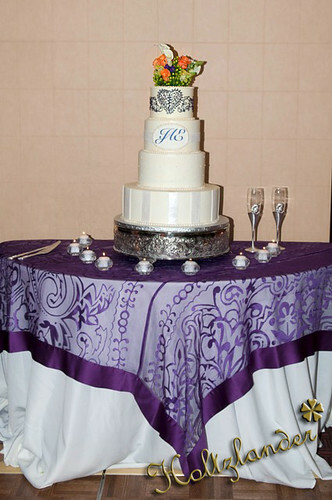 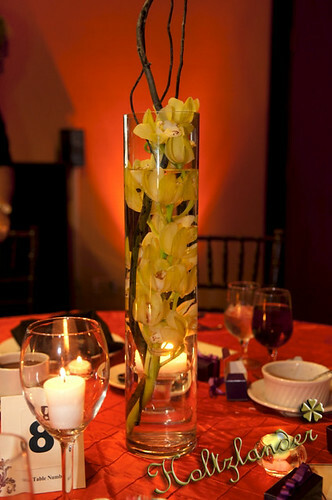 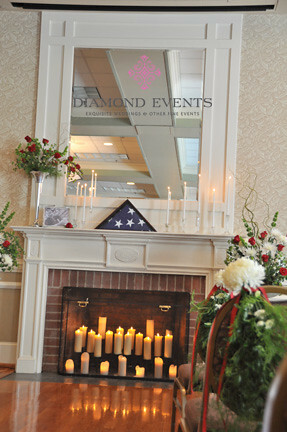 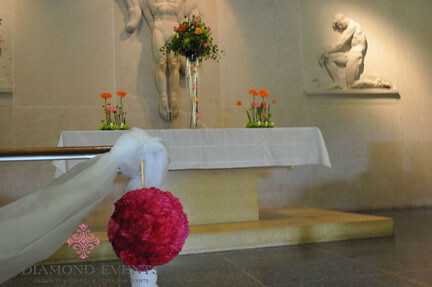 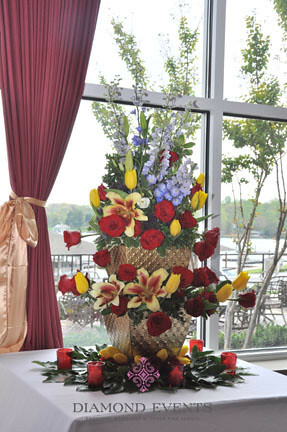 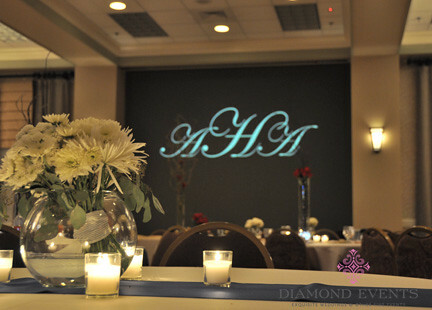 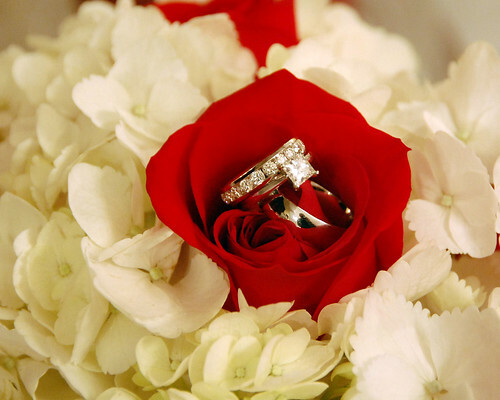 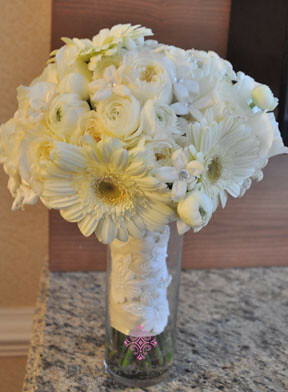 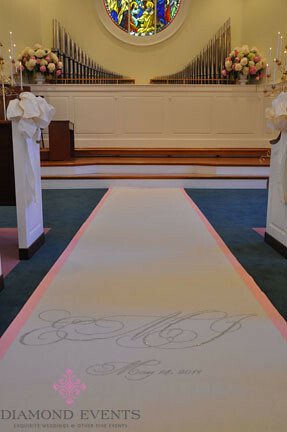 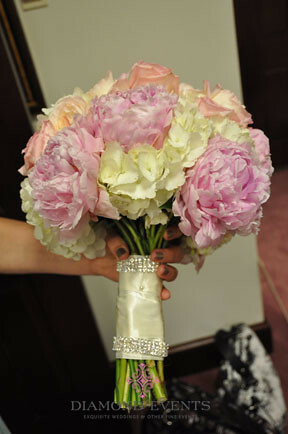 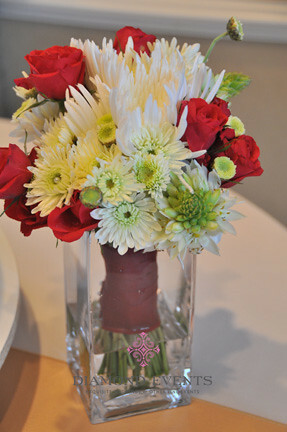 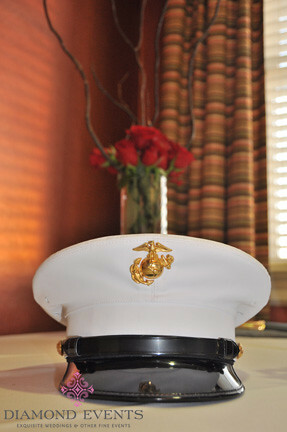 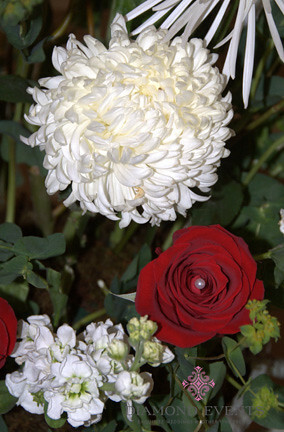 Flowers were designed by Angela Courser of Corsair Floral & Décor. 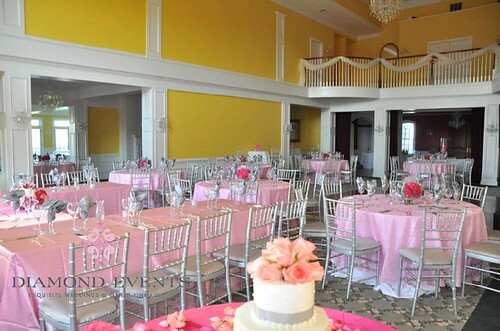 Being involved with Erin & Brett’s wedding from the very beginning, looking for venues, working with vendors and putting together a complete decor and floral package that was exactly what she envisioned, was such a pleasure and so rewarding to see it all come together. 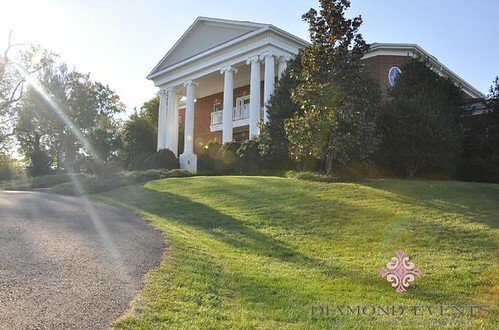 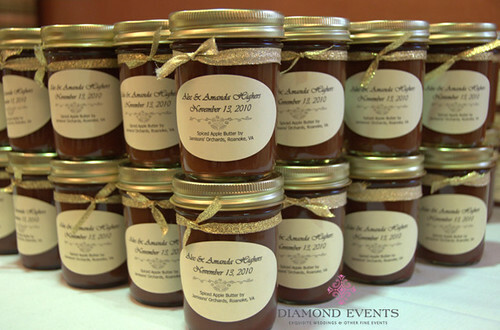 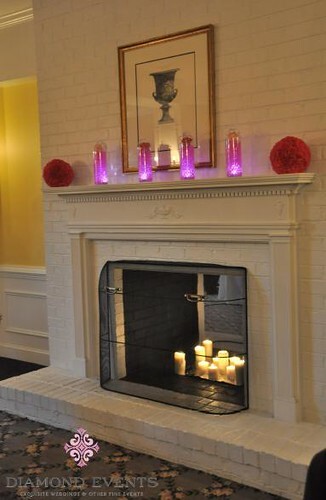 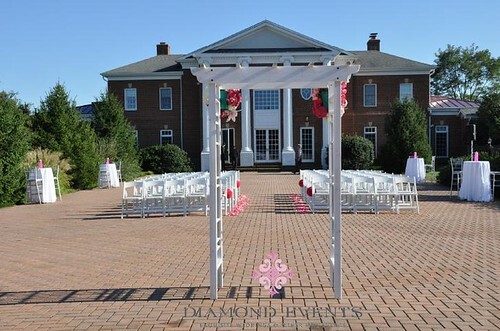 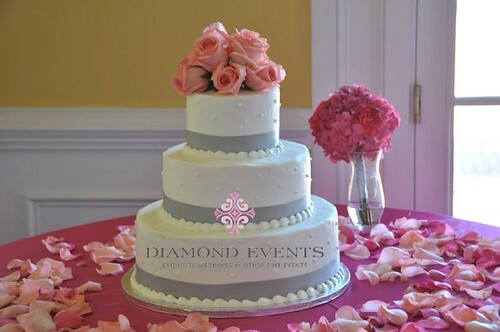 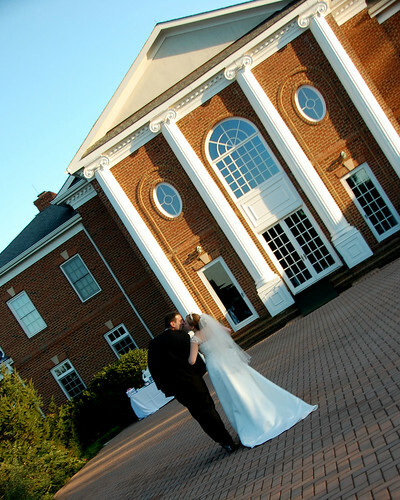 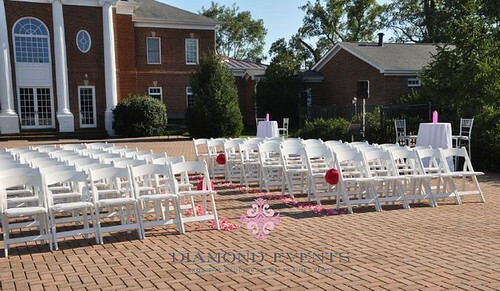 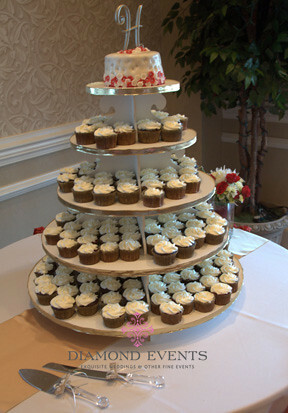 After a thorough search throughout Loudoun County and the Hunt Country area, the couple chose Rose Hill Manor to host their wedding. 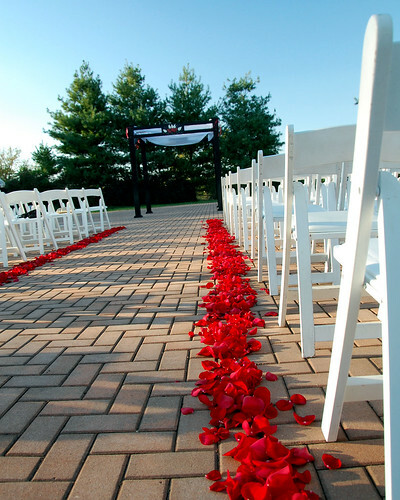 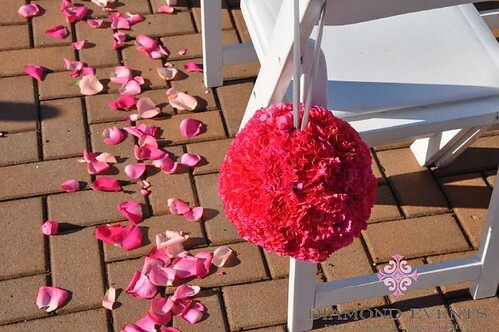 The ceremony was held on the back patio with bright red rose petals lining the aisle and a custom chuppah made by a family friend. 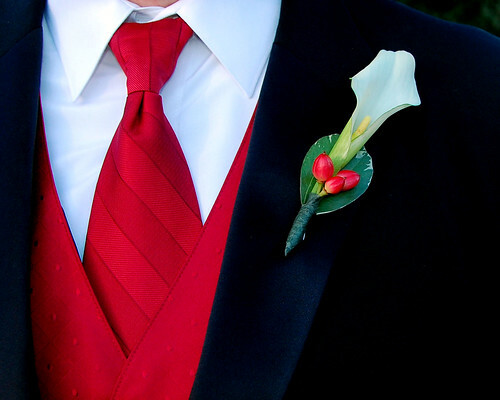 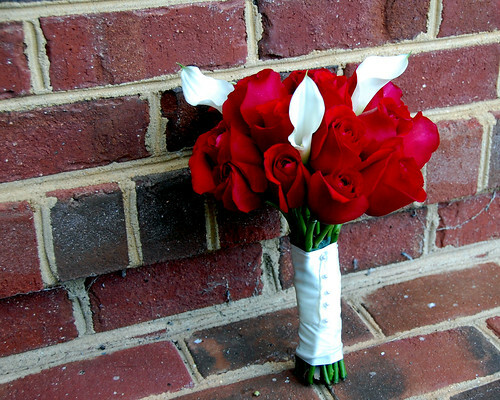 The bridesmaids carried white calla lilys and Erin’s bouquet of red roses and mini white calla lilies popped in front her white wedding dress. 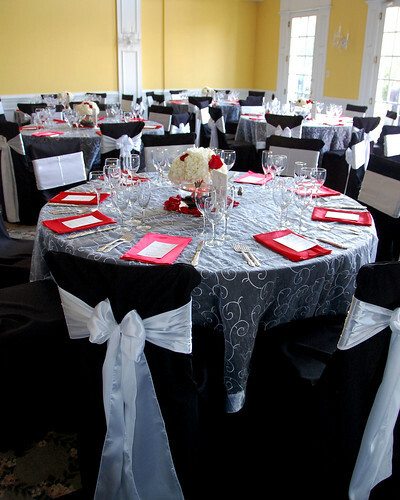 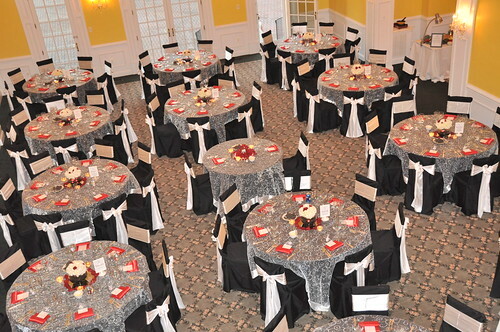 For the reception the tables were dressed in black linens with a white embroidered overlay and red satin napkins, the chairs had a black chair cover and white satin sash. 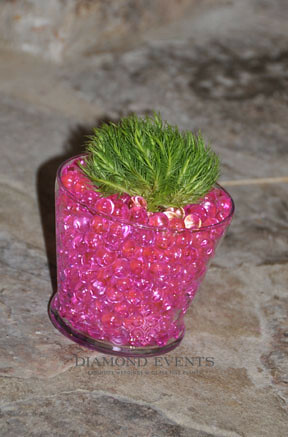 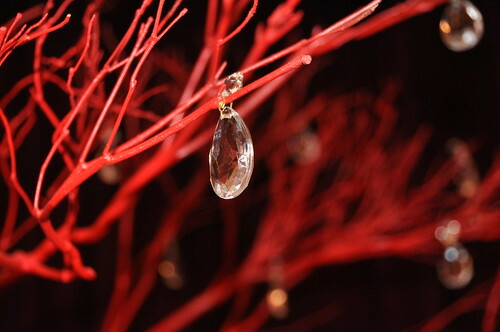 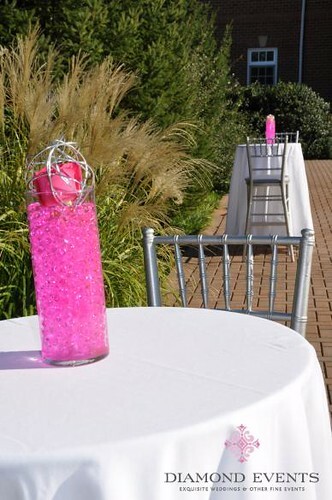 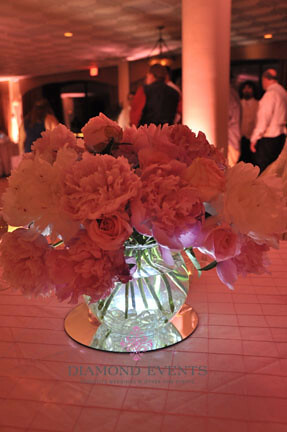 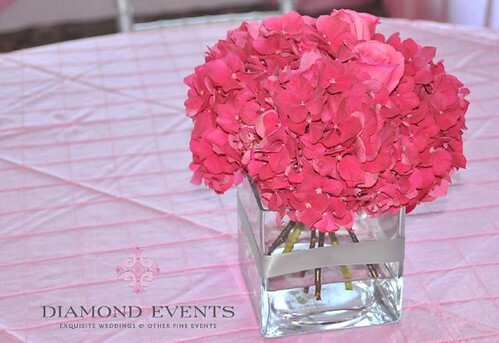 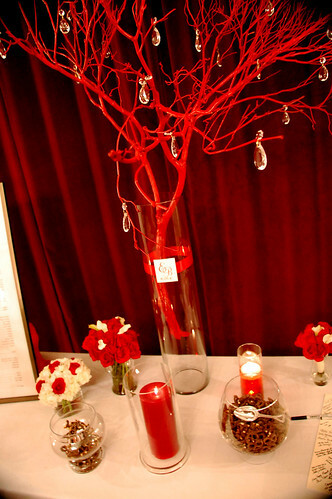 The centerpieces were groupings of white hydrangeas and submerged in the water were red LED lights which created a glow on the table during dinner. 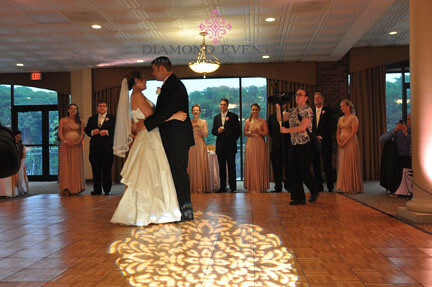 Congratulations Erin & Brett, I hope your marriage is as beautiful as your wedding! 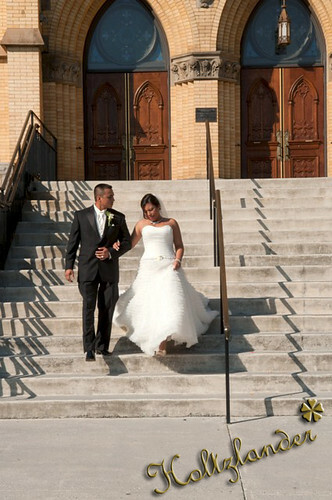 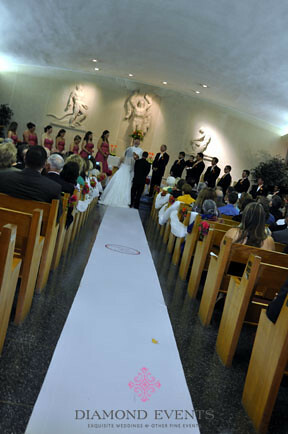 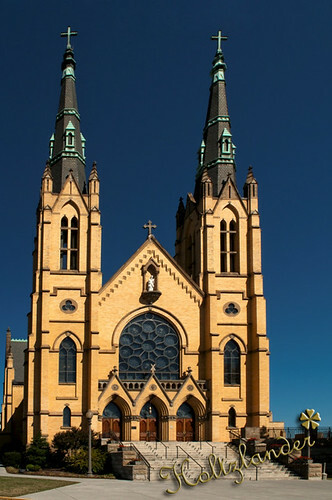 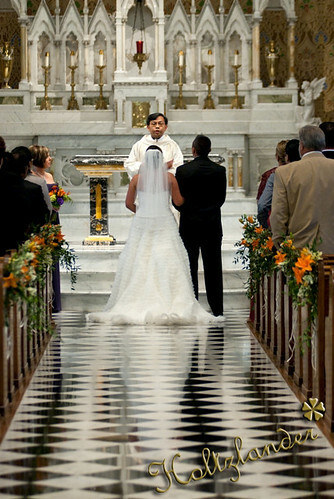 Elizabeth and Julio married at St. Andrews Catholic Church in Roanoke, Virginia in October of 2010. 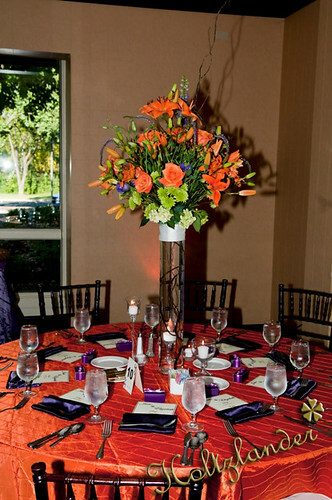 Elizabeth had a very specific vision for her wedding incorporating bold tones of eggplant, burnt orange and pops of green which all came together marvelously. 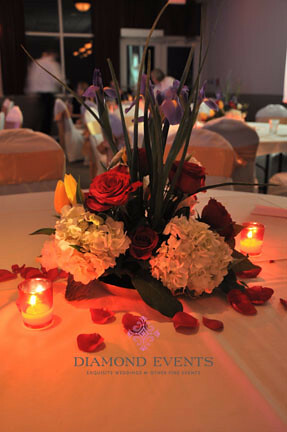 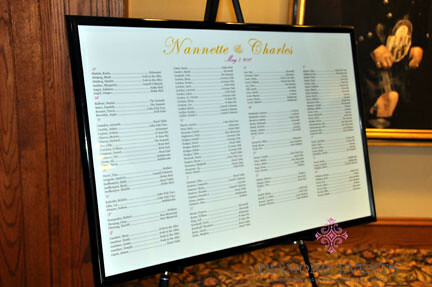 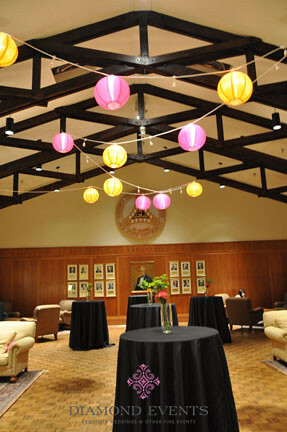 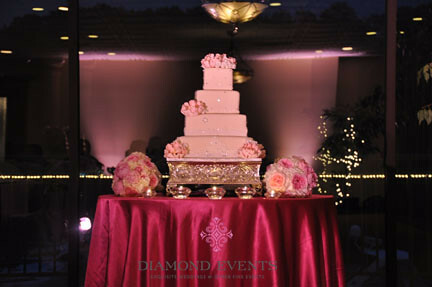 The reception was held at the Sheraton Hotel & Conference Center, the style and tones of the hotel were a great addition to the wedding décor. 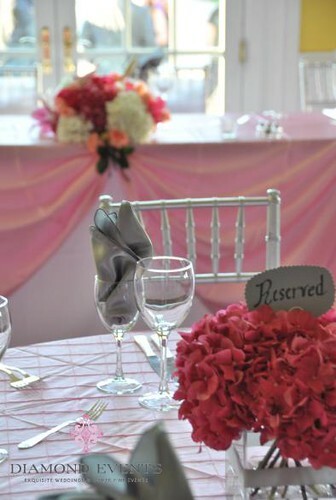 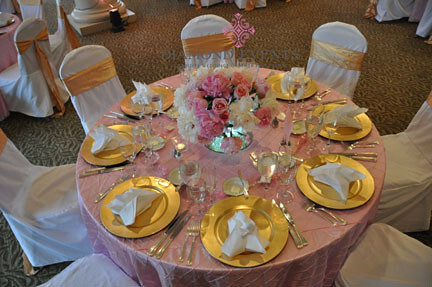 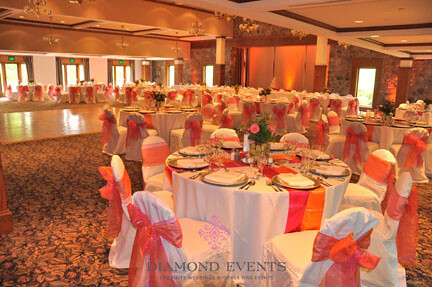 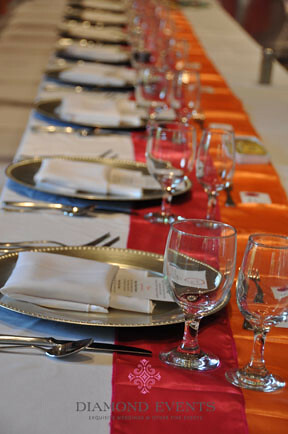 The tables were set with burnt orange pintuck linens and tall, colorful centerpieces. 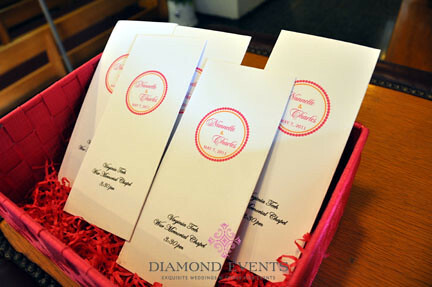 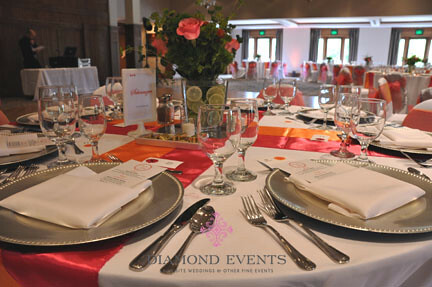 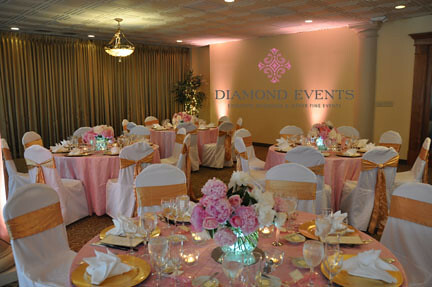 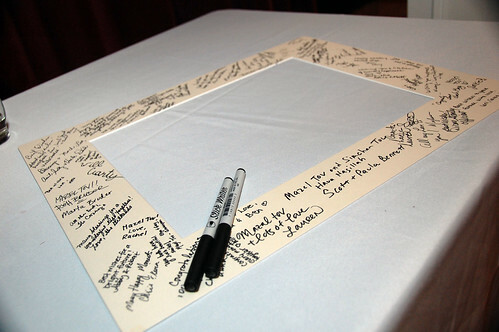 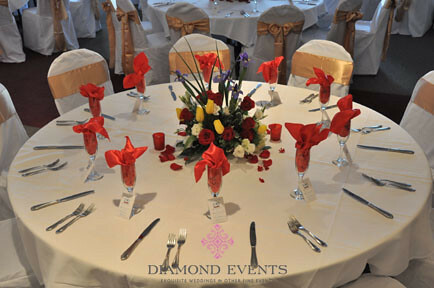 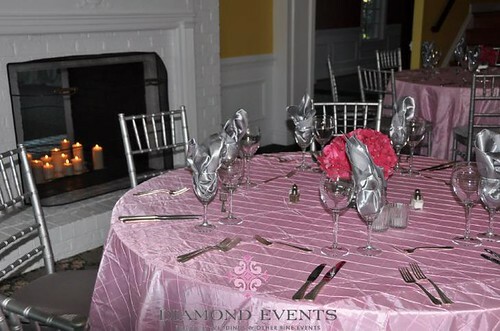 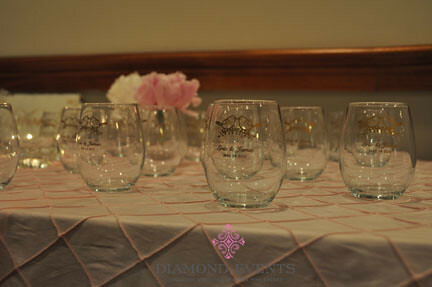 The menu cards designed by Diamond Events were tucked into a square napkin folded flat at each place setting. 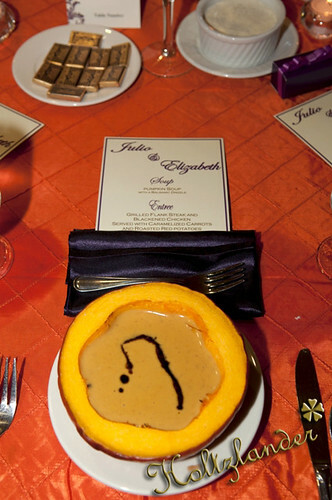 To top off the fall theme, the soup was served in a hollowed pumpkin. 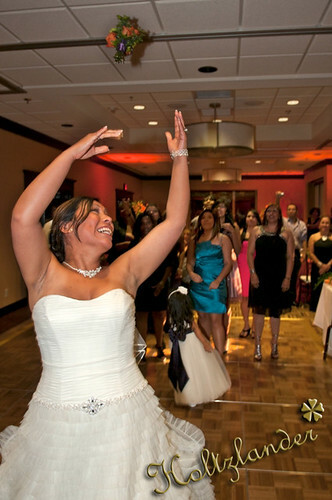 The guests were entertained by three different ensembles throughout the night, a Mariachi band that serenaded guests during cocktail hour and dinner, a hot salsa band that made their way from Washington D.C. to get everyone dancing and a DJ to make sure that no one went home early! 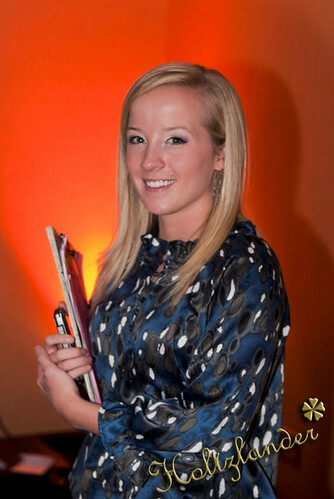 And the remarkable coordinator that pulled this all of, our very own Morgan Leonard, who did a fabulous job!